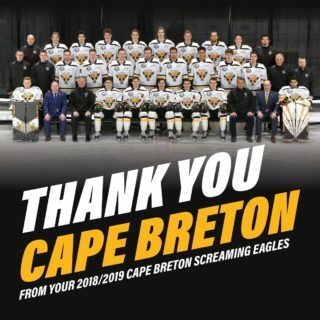 Tickets for the first two Cape Breton Screaming Eagles home games of the 2018-19 season will go on sale this Friday morning at 11 AM. 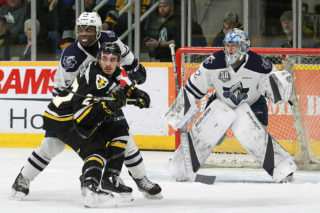 The Screaming Eagles will open the home portion of the 2018-19 season against provincial rivals the Halifax Mooseheads on Friday, September 28th. 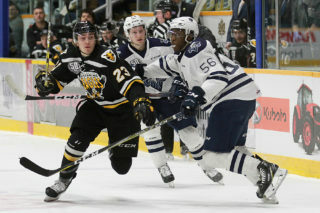 The following night the Screaming Eagles will host the Charlottetown Islanders. The start time for both games is 7 PM. Tickets can be purchased at the Centre 200 box office, which is open from 11 AM to 4 PM, Monday to Friday. Tickets can also be purchased by phone at 902-564-2200 or online at https://tickets.capebreton.ca/Online/default.asp. 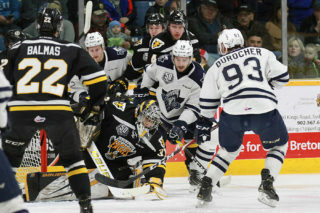 Season tickets for the Screaming Eagles’ 2018-19 season are also still available.